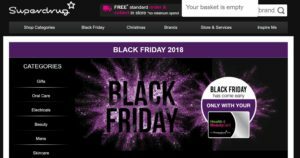 Superdrug has started it's Black Friday deals early if you are a Healthy and Beauty card holder. Deals include a L'Oreal Paradise Mascara Kit for £9.99, this is £19.99 if you are not a member. There are plenty of other Superdrug Blck Friday offers. Click ‘Get Deal' to find out more!